Bennecker arranges the food signs, which inform customers about the nutritional value of what they are buying, and different ways to prepare it. Around the beginning of May 2013, Breann Bennecker began to see a need. Actually, she was bombarded with a need – hundreds of pounds of produce pouring into the industrial-sized kitchen at G.O.D. Int’l headquarters. When 24-year-old Bennecker was placed in the position of kitchen manager in Fall 2011, her job description did not include managing a suddenly abundant supply of produce. Hopewell Gardens, the 7000 square foot plot of land on G.O.D. Int’l property, began developing in earnest when Seth Davis (36) committed to working in our community garden full-time in January 2011. From January-July of 2012, our garden harvested 458 pounds of produce, but from January-July of 2013, we harvested 2,260 pounds of produce (a 500% increase). With such a dramatic increase in produce came an urgent need to preserve and distribute food to prevent waste. Bennecker lost no time in taking on this task, and it became a large part of her work during the summer months, during which the harvest is most plentiful. Customers are informed about our ‘low tech garden methods’ through media placed on our tables. We utilize low technology methods because we want our success to be duplicable by the poor in the regions of the world where we work. 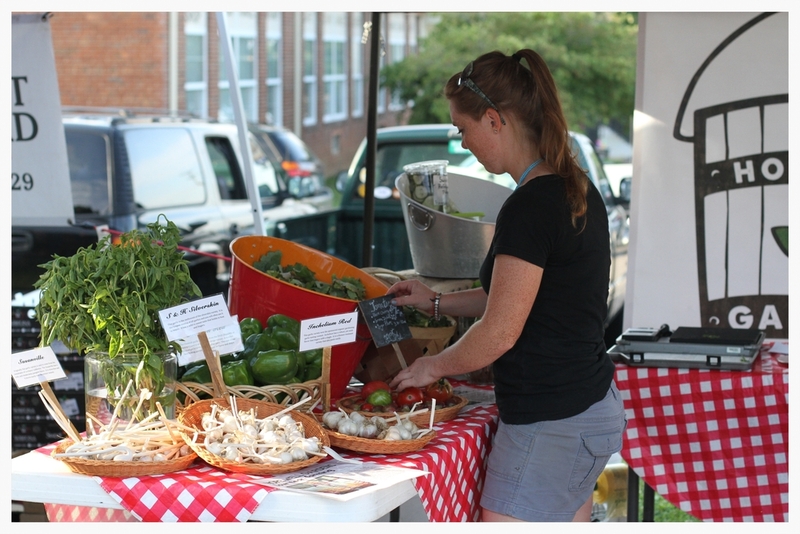 Hopewell Gardens held its first farmer’s market at G.O.D. Int’l headquarters on Saturday, June 24th. This market was open to those involved in G.O.D. Int’l, and sold not just fresh produce, but also pre-made salads and baked goods. Since then, Hopewell Gardens has partnered with local coffee house “Jacob’s Well” in hosting a weekly produce stand in Old Hickory Village. It has also been accepted as a seller at the Donelson Farmer’s Market and will have a booth there weekly through the end of October. The garden has garnered approximately $3000 in produce sales thus far, and is still collecting the summer harvest. Hopewell Gardens is becoming a favorite among vendors at the Farmer’s Market. Producing quality food, and giving it in generous quantities at fair prices is hard to beat. Breann Bennecker (left) and Rachel Webb (right) are forming relationships with the local community through their weekly stand at the Donelson Farmer’s Market. This metaphor in Luke goes on to suggest that in the ideal marketplace situation, fair and honest trade becomes the norm because it is founded upon relationship. Bennecker has certainly found this to be true. “When I go to Old Hickory village, I know [the people’s] names, their children, their story, and I become someone who is no longer just another vendor. I want them to have good produce. People see that I care and really value that, more than someone who just wants to sell them something.” For this reason, Hopewell Gardens produce is not sold everywhere, but at select locations where it is possible to manage fair trade and foster good relationships. One of the reasons Hopewell Gardens has chosen to sell at the Donelson Farmer’s Market is that this market has created a system that allows buyers to use EBT food stamps to purchase their food. This enables those who would normally be forced to use food stamps on highly processed fruits and vegetables to have access to fresh, local and organically grown food in abundant varieties, at good prices.